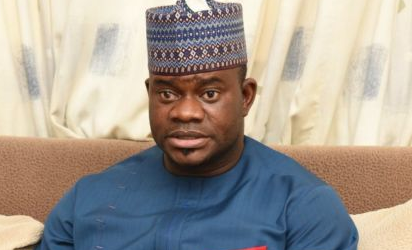 With few months to the conduct of the governorship election in Kogi State, the state governor,Yahaya Bello, who is seeking reelection, has practically abandoned governance and has temporarily relocated to Abuja to lobby President Muhammadu Buhari, first lady Aisha Buhari and other leaders of the ruling All Progressives Congress (APC). However, speaking with our correspondent, Onogwu Mohammed, the Chief Press Secretary (CPS) to the governor, denied the allegations, saying the governor has remained in the state and even cancelled a trip with President Buhari to Jordan in order to attend to security issues in the state. “The governor has been on ground in the state since last week and has not traveled to Abuja. He had to cancel that trip to Jordan with President Buhari because from the security reports he gathered, there was a plot to threaten the peace of the people of Omala Local Government Area. “So, he cancelled that trip and has been on ground in Kogi State. He held meetings with the various security agencies in Kogi. Based on the meeting, the security apparatus in Kogi moved to Omala Local Government Area and they were there till yesterday morning until they repelled the attack. “The governor is presently in the state, coming to office, attending to issues that borders on the well-being of the people of Kogi State. To say the governor has relocated to Abuja because of second term is a lie and should not be taken serious by well-meaning Nigerians. “Yahaya Bello is not after second term in office. He is not desperate about getting himself a second term ticket by relocating to Abuja. He is assuring himself of a second term ticket by giving the people of Kogi State good governance”.